My parenting philosophy has always been totally unsophisticated; Wear them out and they will sleep well. It's only early days into the school holidays but I have found somewhere that will fit the above bill, as well as provide some joy for weary Mums and Dads as well. Not only school holidays, but any time at all! Hilliards Creek is a small creek system in the Redlands, South East Queensland. Located in the northern suburbs of the Redlands the catchment area covers 27.6 km and rises from Sheldon, flowing northbound through Thornlands, Cleveland and Wellington Point, where it drains into Moreton Bay. The main channel of the creek provides the boundary between the suburbs of Ormiston and Wellington Point, and between Cleveland and Alexandra Hills. 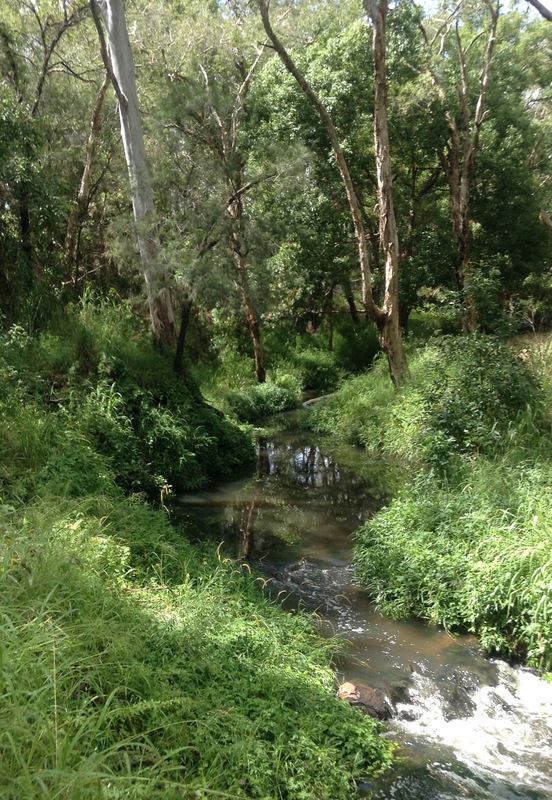 The creek itself is 12.9km in length. This area has a rich indigenous and pioneering settlement history, and today also has an abundance of nature walk and bike tracks. 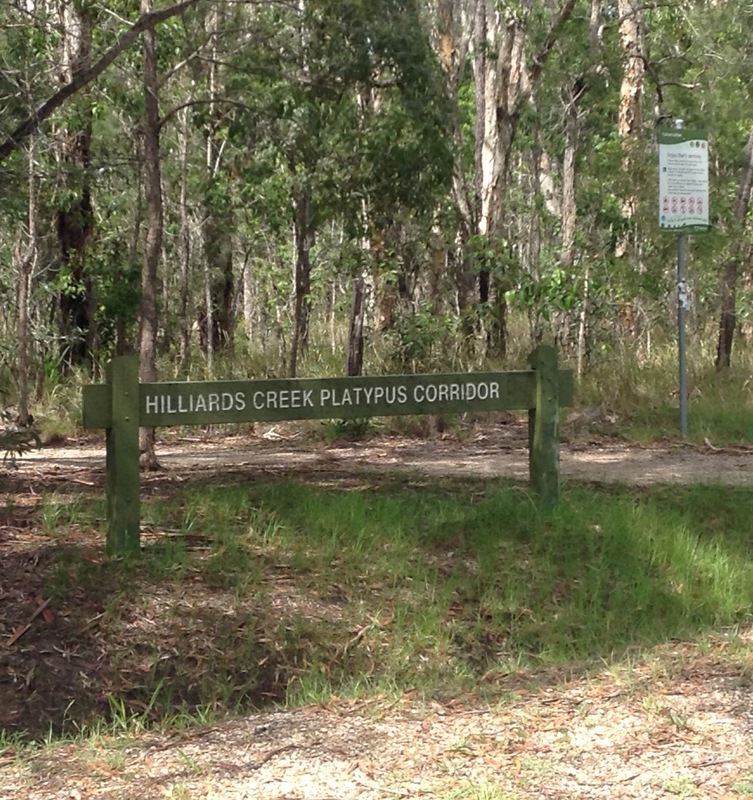 The Hilliards Creek Platypus Corridor, situated at 116 to 122 McMillans Road, Alexandra Hills, is a great starting point to investigate the natural beauty of the Hilliard Creek environment. 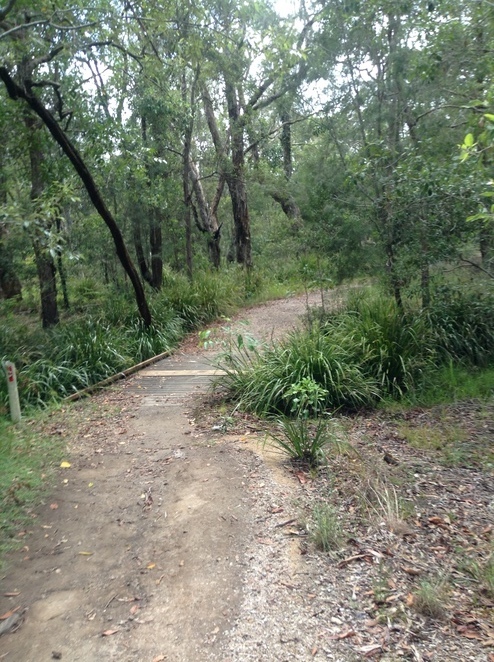 Follow the walking track that takes you across Hilliards Creek at several points via bridges and through the natural scrub. The track is well defined and flat, and easy walking for all fitness levels and ages. Little ones would be able to ride their bikes quite easily through this parkland. The vegetation varies, and no doubt would also change according to the seasons. 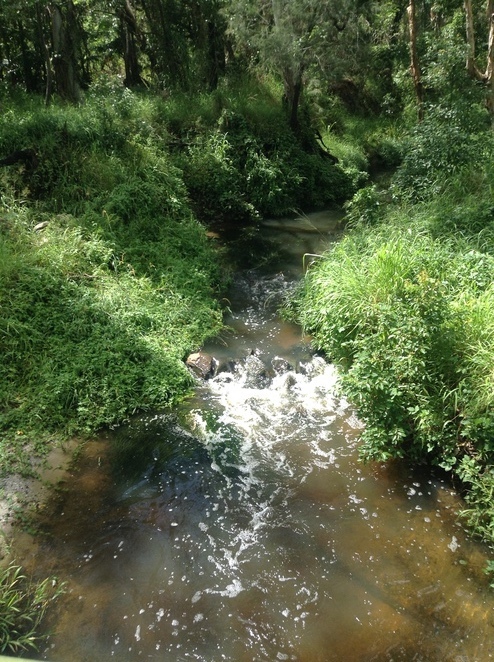 After the rainfall the water flow was strong, adding to the natural beauty. 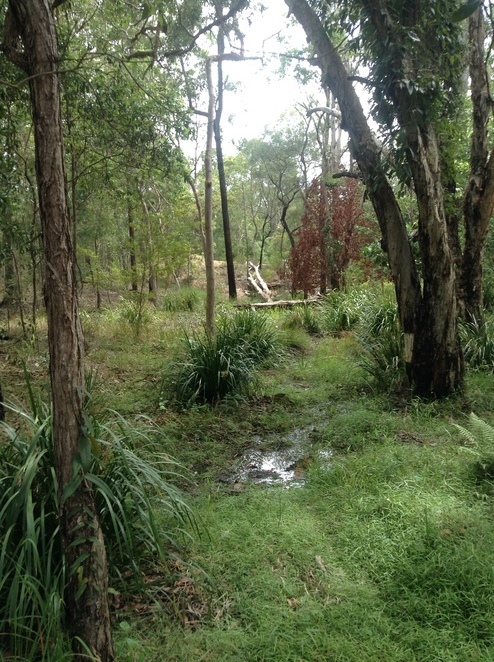 We encountered kookaburras, lizards, and a wallaby on our walk and were on the lookout for koalas. Our search for platypus was unsuccessful, although I do believe they are very shy creatures. 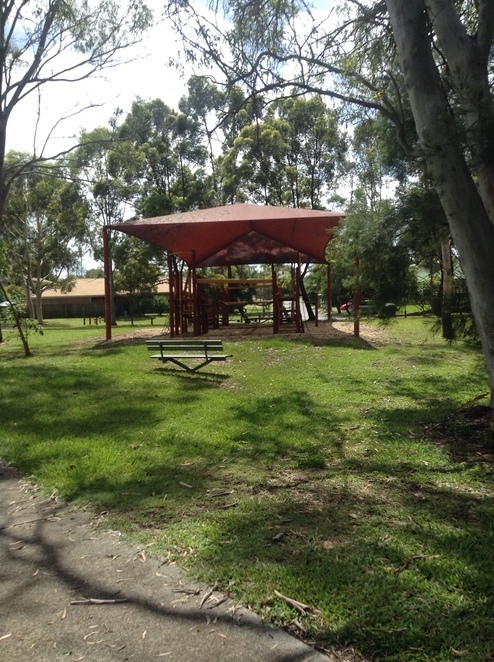 At the end of this track, we arrived at Lucy Court, Ormiston, where we encountered a children's playground under shade cloth which includes a swing and climbing equipment. There is a seat for resting and the grassy and tree-shaded site lends itself to a picnic rug or two. There are no BBQ facilities or restrooms, but there is plenty of room to kick a ball or chase butterflies. Sandwiches and fruit would be a suitable reward for negotiating this walk on the wild side. The return walk to McMillans Road should take about thirty minutes, or longer if you stop to investigate dragonflies and wildflowers in their natural habitat as we did. An adventure in the fresh air is a great way to relax, and if the children sleep well at night afterwards that has to be an added bonus, right?